The P.S. 57 Family is committed to providing a safe nurturing environment while engaging and inspiring ours students to become lifelong learners, responsible citizens and successful contributors to the world. We will ensure that all children reach their potential by setting high expectations and academic excellence for all. We will create an environment where the school community trusts, respects, and values each other in the educational process. We will work collaboratively and promote student teacher engagement. We will encourage opportunities for responsible informed decision making. We will engage students in a rigorous instructional program geared to meet the needs of each individual learner. Click on the picture above to get to our Facebook page directly. Check the FB page for important dates and other great info! 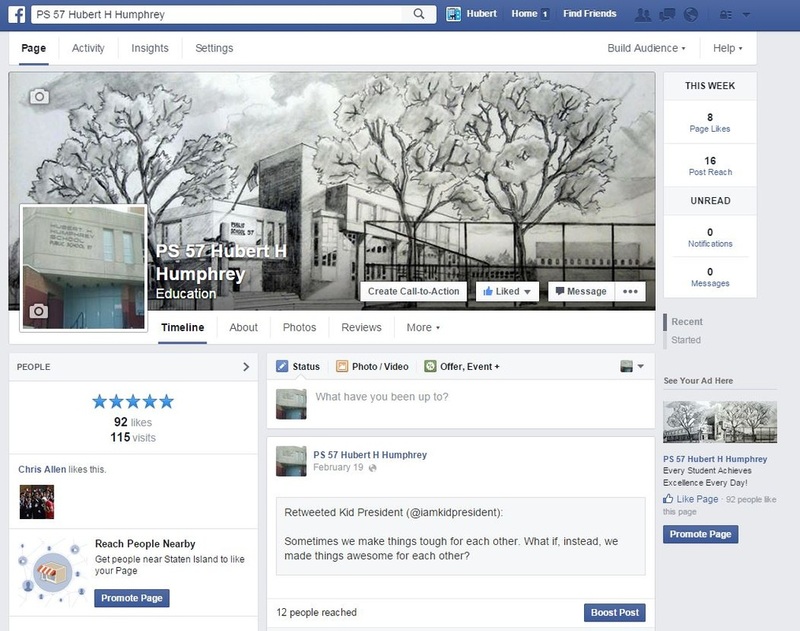 Be sure to "Like" PS57's Facebook page in order to add news and events to your feed!